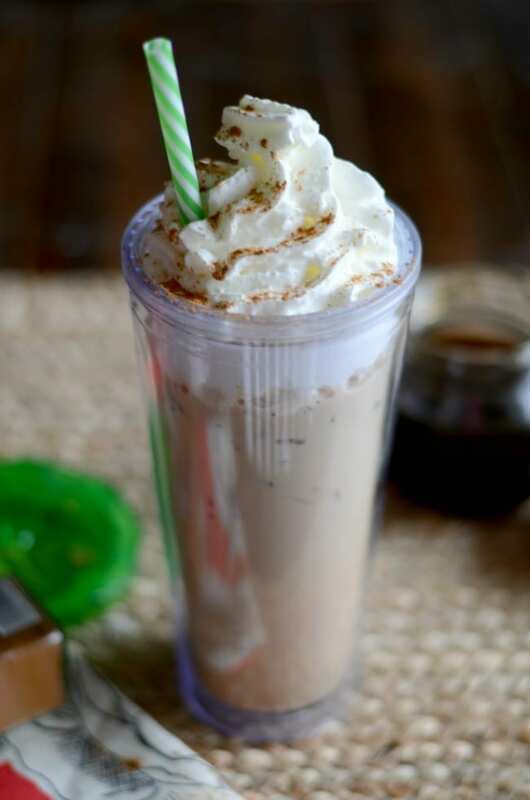 Check out how easy it is to make this iced cinnamon dolce latte at home! Hey y’all. I know by now that everybody is aware of my love all things coffee. Seriously. Give me all the coffee. I have over 20 different coffee recipes on my site; from lattes to frappuccinos and even how to make your own cold brew coffee. What is an iced cinnamon dolce latte? 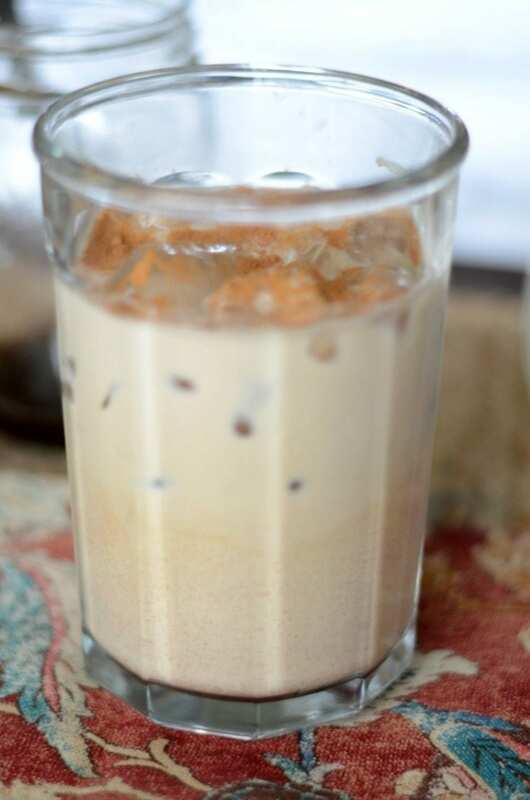 An iced cinnamon dolce latte is a yummy espresso based coffee drink with a sweet cinnamon flavor. 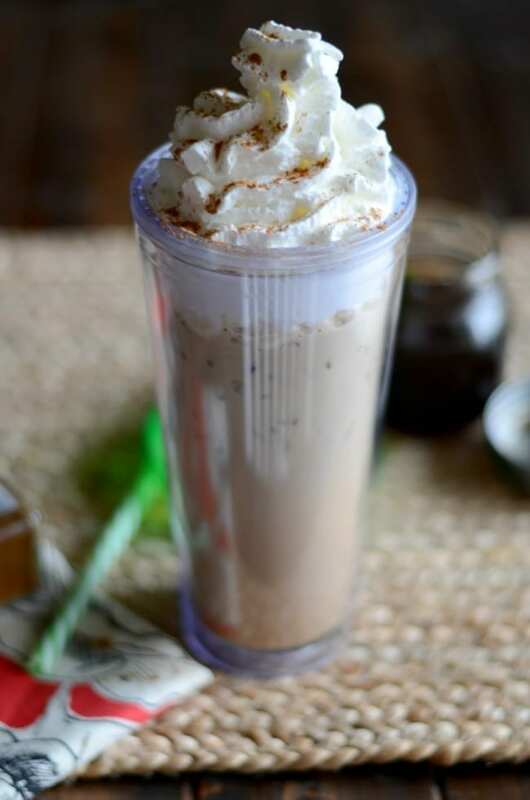 It combines espresso (or strong coffee) with cinnamon dolce syrup, milk or cream and ice. You can buy this drink at Starbucks or you can make it at home. What’s in an iced cinnamon dolce latte? 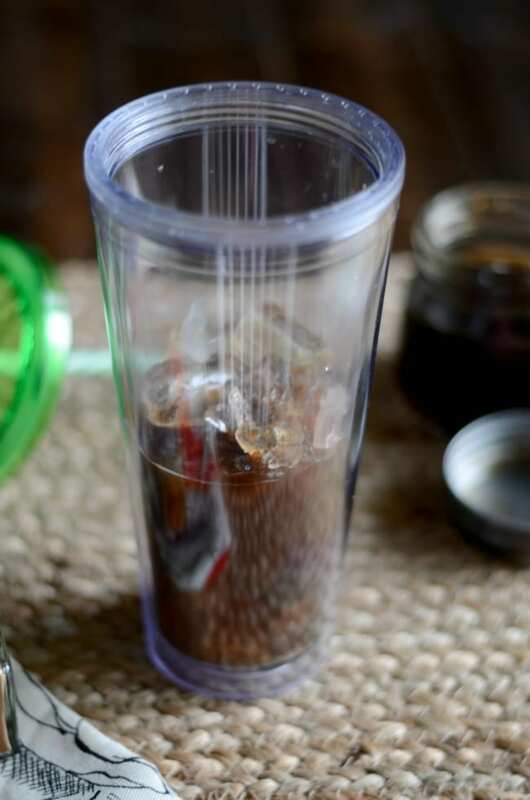 You can use cold brew coffee for the latte or leftover coffee. I used leftover coffee from earlier in the day but cold brew coffee or espresso work just as well. I prefer to use an instant espresso for iced drinks and enjoy the Medaglia brand. 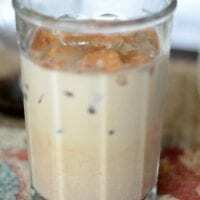 Feel free to use any milk that you like for this copycat coffee recipe. Plain milk works great but I like half and half or almond milk in my iced cinnamon dolce latte. Whipped cream and ground cinnamon are optional but make a great topping. If you want to go all the way homemade then try homemade whipped cream! It’s way easy to make and only uses a few extra ingredients. Again, store bought is perfectly fine and just as delicious. Use good coffee or espresso. Day old coffee does work as long as it’s good quality. Instant espresso even works well with this recipe. Use a quality syrup. You can make your own using my favorite cinnamon dolce syrup recipe or you can use store bought syrup. Make sure your coffee or espresso is room temperature or colder before making your drink. Pour the cinnamon dolce syrup in a mug, add the coffee and stir. Pour in the milk and add the ice. Top with whipped cream and ground cinnamon, if desired. Want even more coffee? 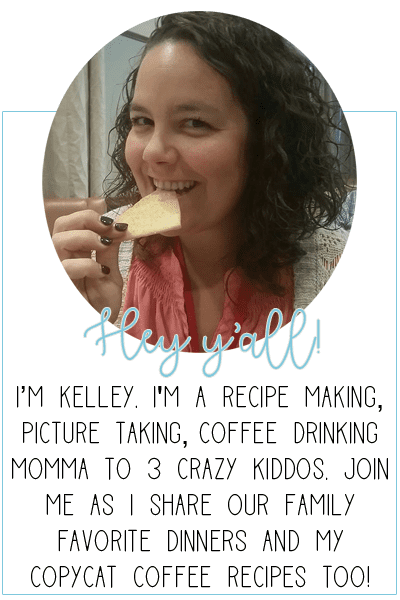 Sign up for a FREE coffee e-book!